Here's a selection of some recent work. For more up to date work you can visit me on github or twitter. 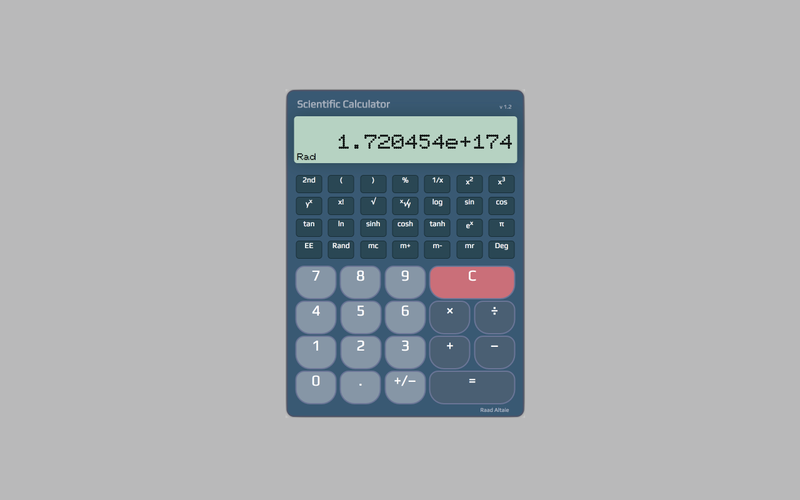 Scientific Calculator for Google Chrome works with the Keyboard and its shortcuts, it has more than 2,700 users and rating of 4,7 stars so far. i released it at mid of August 2017. © Raad Altaie. All rights reserved.